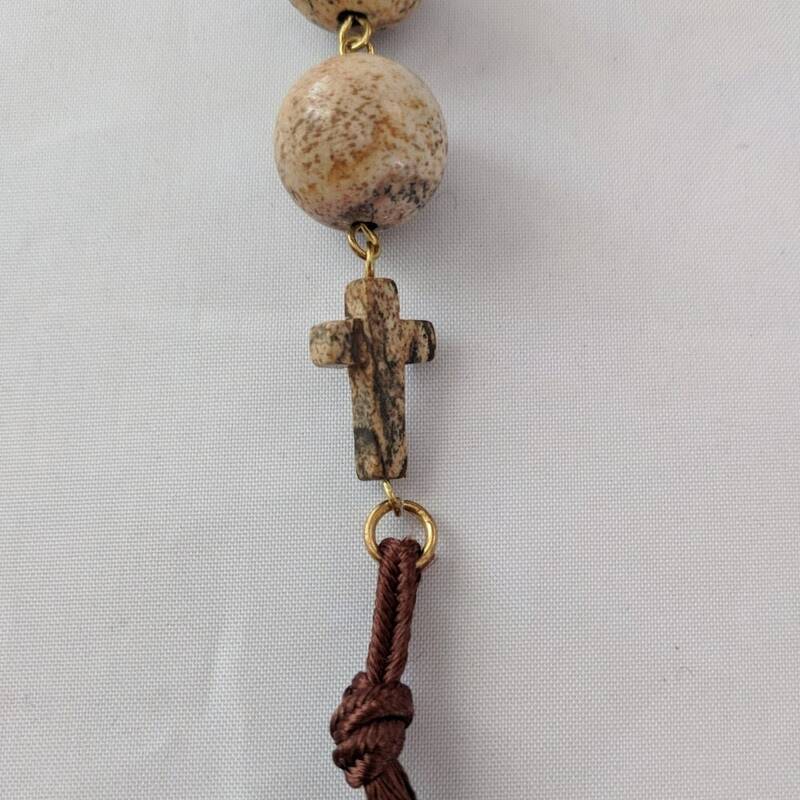 This one has ten 14mm picture jasper beads connected with metal links. 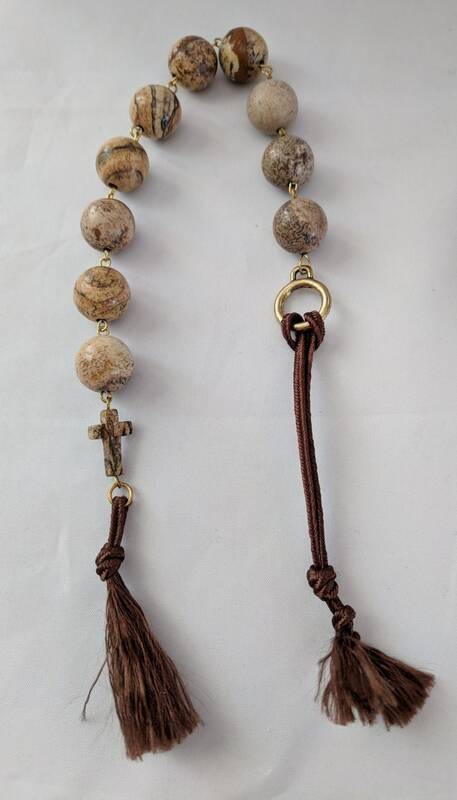 On one end, is a picture jasper cross (15x10mm) with a brown tassel. On the other end is a ring with a brown cord for hanging from a belt or pouch. The overall length is approx. 11 inches not including the cord. PICTURE JASPER a remarkable form of Brown Jasper, is characterized by masterful “scenes” and landscape patterns formed by Nature, and is believed to contain hidden messages from the past. 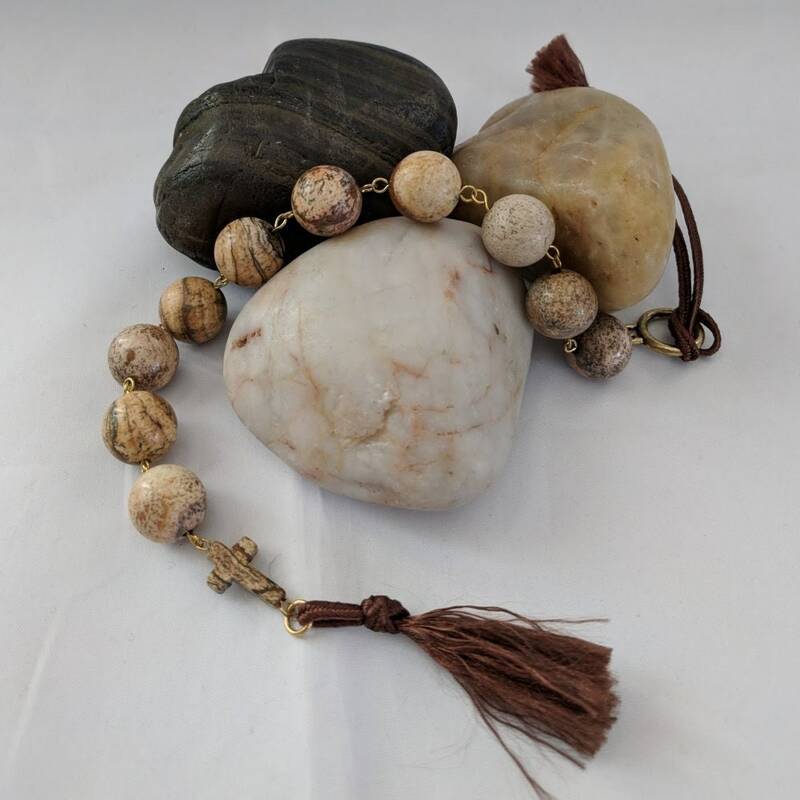 It was revered in many cultures of the world for its deep connection to the Earth, its protection during shamanic journeying, and its ability to divine the land and the future. It is perhaps more closely connected to the planet than any other Jasper and is known today as the Stone of Global Awareness. It encourages ecological responsibility, and acts as a reminder that one is not here on the physical plane simply for oneself, but to bring joy and substance to others.